Tap Dance Freedom Applications Open! Andrew’s one week summer intensive is moving from NYC to Vancouver this year. Participants will experience over 40 hours of training and activities. Additionally, participants will have the opportunity to take part in the events of the Vancouver International Tap Dance Festival which is running the same week! But first you have to apply. Visit the Tap Dance Freedom website for more information or Apply Today! I’m going Around the World! Over the next 6 weeks I’ll be going around the world, literally. This is a huge trip, celebrating tap dance and connecting with friends from many of the communities I call home – faith, TED, artists, etc. If you’re in any one of these cities, let’s connect! I’d love to see you. Tel Aviv – May 4-14th, Taking part in this National Geographic Expedition organized by TED Fellow Aziz Abu Sarah, then taking some time to share some tap dancing at Pasito Studio. Tokyo – May 15th-23rd, Sharing stories and dancing at Yellow Ren Cultural Center, Ginza Church, and Kaz Tap Studios. Vancouver – May 24-30th, Tap Dance Day Celebrations at the Rhythm Room (Website) and Vancouver Tap Dance Society (Facebook Event) and sharing at local faith-centered communities. Boise, Idaho – June 1-June 14th, Working the folks at Windrider on a documentary short, then speaking and performing at the REFLECT Conference!! Rochester, NY – June 15-17th, Stompology Solo Jazz Dance Weekend. Calling Tap Dancers!!!! Tap Dance Freedom’s Summer Intensive applications are now open. This will be the 5th year that we gathering for this 6 day intensive. It’s a super unique learning experience with only 12 participants, covering tap dance history, music and rhythm theory, new choreography, technique, and improvisation, in a progressive, pedagogical, and integrated approach. For 2018 we’re adding sessions on Improvography AND Grooves and Accents. Learn more here. Jump directly to the application here. Coming at the end of January. Tap Dance Freedom will release its second online course. Andrew teaches the SHIM SHAM, including Honi Coles and Leonard Reed versions of the second step, and the Stop Chorus. As with all Tap Dance Freedom Online Courses, this one will include multi-angle videos AND downloadable resources. Subscribe to the newsletter to here, to be notified when the course goes live! The B.S. Chorus is full of depth. 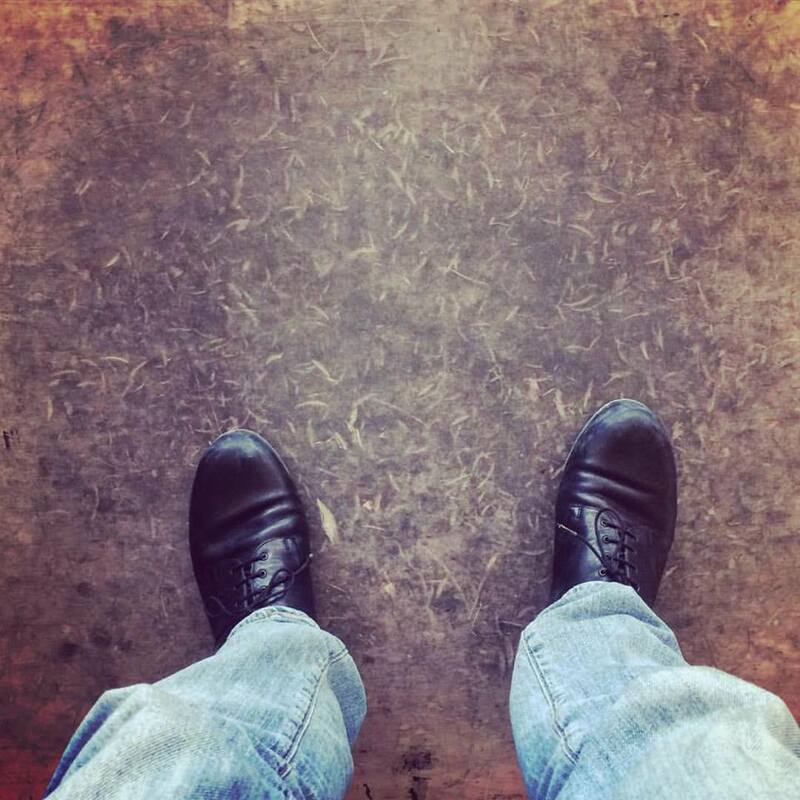 For such a short and often overlooked piece, it can teach a lot about the early days of tap dance. As one of the few dances that has survived close to intact from the heyday of tap dance, it’s worth spending some time around. A few years ago, I was asked to teach a class on the B.S. Chorus at Stompology (a solo Jazz Dance festival in Rochester, NY), and the recap got posted on YouTube. After getting great responses I realized the importance of the piece, and wrote this article to further process my thoughts. I’m super excited to announce the next step in this process. As part of my residency at the YMCA I’ll be developing a full online lesson on the B.S. Chorus for Tap Dance Freedom. The Lesson will go live on November 22nd!! If you’d like to get the inside scoop, have access to early release videos, and provide feedback as I develop the lesson, join me on Patreon!! Between now and National Tap Dance Day, I will take part in no fewer than 7 different projects (Graffiti Night Church, Still Point Duo with Max ZT, Canales Project, Tap Dance Freedom, Limbs, Tap Legacy™, and a new research project) in which I will take on numerous roles – from performer to director, teacher to pastor. Many times I look at my schedule and think that something is wrong. I find myself thinking (maybe because others have told me), “No human should be working this much.” Sometimes I go through my week and feel like I get shot out the other end, not remembering what happened, and not feeling like anything was actually accomplished. That’s not good. In those moments I find myself being reminded of the reason I said yes to all of this in the first place. In every good work there is the fulfillment of an aspect of love. The special collaborations with Max ZT and the members of Limbs (Yuka C. Honda, Susie Ibarra, and Kazu Kumagai) are an expression of the intimacy and unity that is found in love. The music that we make comes from a willingness to be vulnerable and exposed, expressive and known. The performances alongside other artists in the Canales Project puts my artistic gifts to the specific purpose of social justice. We want to envision a world in which there is no such thing as “the other.” While idealistic, isn’t that one of the reasons artists are here? That is to imagine the world as it could be? Such is the hope that is found in love. Tap Dance Freedom and Tap Legacy are similar, not only in their focus on tap dance, but also in their hope to provide the tools needed for anyone to thoughtfully and deeply engage with the craft. While Tap Dance Freedom is specifically about teaching the craftwork, Tap Legacy provides the historical context for that teaching to make sense. This is the provision and multigenerational thinking that is found in love. Research projects of the academic sort are relatively new to me, and the one I’m currently involved with is not published yet, so I can’t say much about it (other than it has been really exciting!). To enter into research, is to search for truth. This search may be predicated by the belief that there is a truth to be searched for. Truth is the foundation of love. Love can be a funny word. It’s simple. But in it’s simplicity all the nuances, the different aspects and kinds of love, can get lost or confusing in communication. The past two years have been a journey as I have been called to a place where I must clearly and explicitly express the revelation of love I’ve been given. This revelation is the foundation on top of which all other work must stand (if it is going to stand at all). For me, it is the revelation of God through Jesus Christ. It is in Christ that I have found the beginning (and end) of love. And it is at Graffiti Night Church that I have found a home to explore this revelation with others. It is the community of love. So you see, it’s hard to say no to work that is fueled and filled with love. Then again love knows that there is a time and a season for all things. So if I ever feel like I’m reaching the end of my line (which happens more often than I’d like to admit), that’s my cue to sit, be still, give thanks and praise, and rest in love. 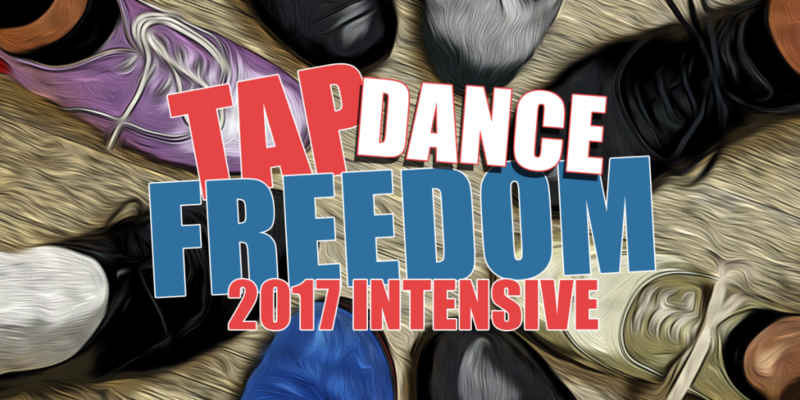 At the Tap Dance Freedom Intensive (July 3-8, 2017, New York City) we go deep. Twelve participants enter into a 6 day, 50 hr, training designed to deconstruct and reconstruct each dancers process. Together, we will fill in gaps of knowledge, discover new approaches to creating steps, and play improvisation games in a supportive and encouraging environment. You will be challenged with new technique, vocabulary, process, and choreography and come away with a complete toolkit for continued growth in tap dance. With only 12 slots I have to try to make sure that the folks in the room are ready to work, already equipped to make the most of the time, and can play well with each other. Applications close at 11:59pm, April 30th. So what are you waiting for? Not everyone who applies will get in, but everyone who doesn’t apply doesn’t even have a chance. Are finances a challenge? Quarter, half, and full scholarships are available and requesting scholarship assistance is as simple as checking a box on your application. Learn more here, or apply right away.